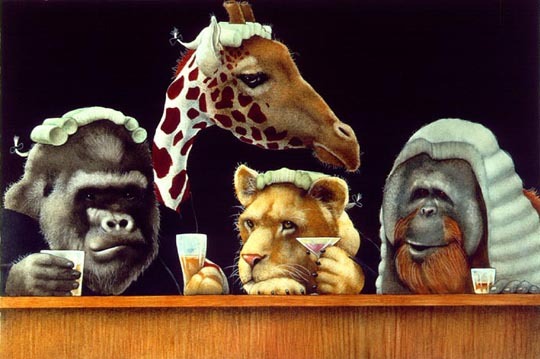 Will explains, "When I first heard this term and discovered it was somehow connected to the honorable profession of "attorney at law", it conjured up this most serious group of judges and lawyers at their favorite watering hole. Pencils down...glasses up! Let the exam begin."